July 2018 was the Marine Conservation Society’s “Plastic Challenge” month – when your mission, if you chose to accept it, was to try to go a whole month free of the evils of SUPs. In a 21st century consumerist world, that is a challenge indeed. “What’s wrong with Stand-Up Paddleboards?” you may ask. Well, nothing at all of course (ask Niki from the Nature Travels team – she’s often to be found on a SUP around the Dorset coast). No, here we’re talking a difference beast entirely: Single Use Plastics. Single Use Plastics are a scourge. A recent report by the Ellen Macarthur Foundation concluded that, if the current rate of increase in plastic production continues unchecked, there will be more plastic (by weight) than fish in the ocean by 2050. Currently around 8 million tonnes (that’s a garbage truck per minute) finds its way into our oceans. But finally, after decades of mindlessly throwing away millions of tonnes of the stuff (though of course the irony is there’s no “away” – everything we’ve ever made will be around pretty much forever), it seems that this is a movement whose time has finally come. Thanks in part to the popularity of the Blue Planet series, the profile and momentum of this issue is rising every day and perhaps the tide will soon be turning. Nature Travels has been supporting the Marine Conservation Society for the past few years. In 2017 and again in 2018, this has been with a particular focus on the issue of reducing plastic waste. The plastic-free washbag collection. Photo: Nature Travels. Even a 40-something youngster like myself remembers a time when there was no such thing in your average person’s bathroom as “shower gel”. How did companies manage to convince us that we need to buy all this pointless stuff in plastic bottles? Faith in Nature soap bars: We’ve tried a few different soap bars, and did find some of them a bit drying, but we like the Faith in Nature ones. They’re available from most health stores or from www.faithinnature.co.uk . Depending on where you buy, they may still come lightly wrapped in plastic, but it’s still a fraction of the packaging of shower gel. However, many health stores now sell them unwrapped, which is of course a much better option. Get a metal container (e.g. 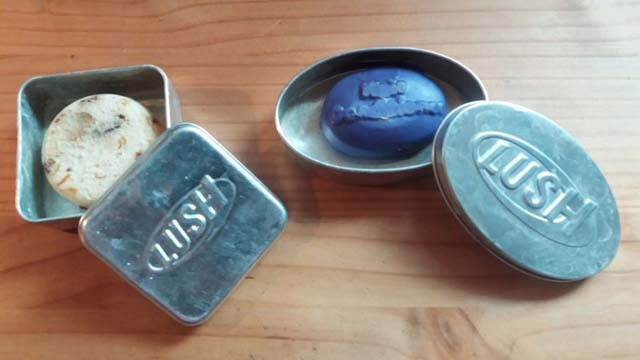 from Lush – see below) to store your chosen soap bar for travelling and you’re all set. Think of all those plastic sachets from hotel rooms you won’t need to steal now! Oops! Seems like it’s almost time to buy a new soap bar! Photo: Nature Travels. Lush shampoo bar (this one is a Soak and Float!) and conditioner bar. Photo: Nature Travels. 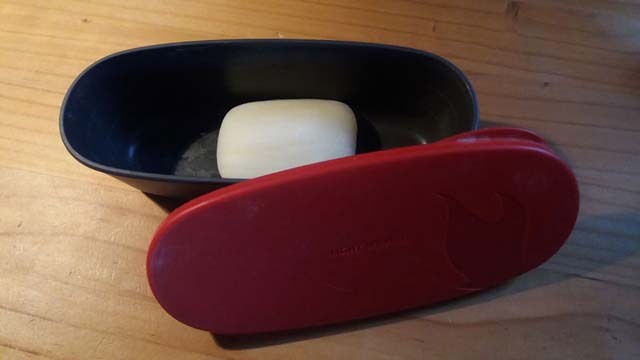 A Storage Tin: You’ll need something to keep your soap, shampoo and conditioner in, of course. Tupperware-style containers work just fine, but you might also like a snazzy tin! Lush do some. 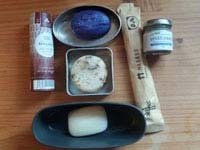 Truthpaste: At the moment, the possibilities for going plastic-free for dental care are very limited indeed. Even most “natural” toothpastes come in plastic tubes. 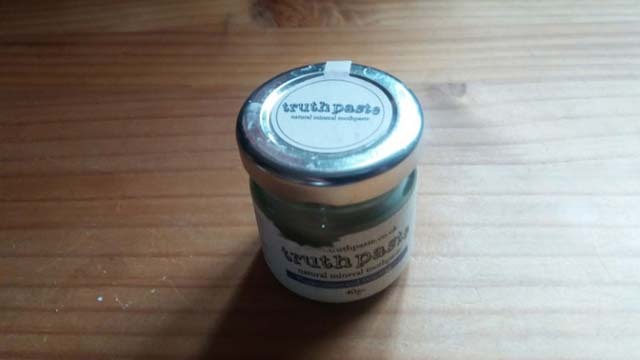 But an option we like is “Truthpaste” – not that easy to find, but available from some health stores as well as online from www.truthpaste.co.uk It’s a clay-based toothpaste that comes in a glass jar. It tastes fine (different from a “normal” toothpaste of course as it doesn’t have all the flavour additives – you’ll get used to it), leaves your teeth feeling clean, and again, although is fairly high-priced does last a long time, which offsets the higher initial cost. If you want a more traditional-tasting toothpaste, Euthymol has been around since 1898 and is a partial plastic-reduced solution available from many supermarkets – it comes in a metal tube, though will still have plastic cap. If you particularly want a toothpaste containing flouride, though, we haven’t yet found a plastic-free alternative. Truthpaste! The toothpaste that never lies! Photo: Nature Travels. 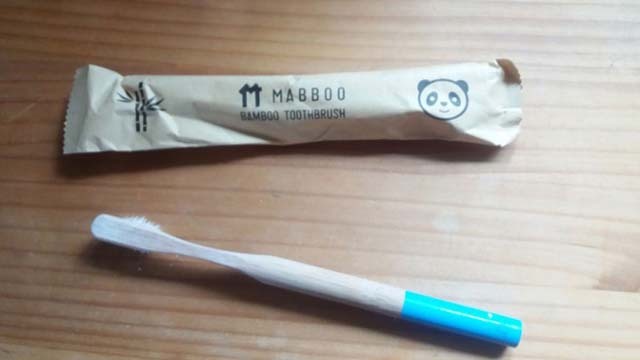 A new (and as yet unopened) bamboo toothbrush from Mabboo waiting its turn, and my current one (make unknown), which was a bit soft. Photo: Nature Travels. 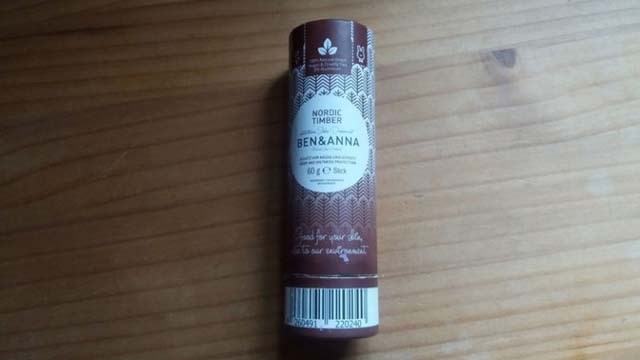 Ben and Anna deodorant – obviously we had to go for the “Nordic Timber” one! Photo: Nature Travels. 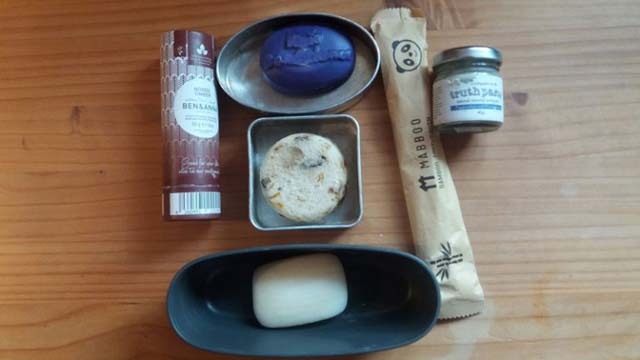 For the basics outlined above, there’s no reason at all, with just a tiny bit of effort next time you shop, why your toiletry bag on your next travel adventure can’t be at least mostly plastic-free – which has to be better than a wash bag full of plastic bottles and tubes. The plastic-free revolution is just beginning, and I think there’s certainly scope for a much wider range of solutions in this area as well as for more robust and competitively-priced products to help bring plastic-free shopping into the mainstream. But if consumers demand more plastic-free products, they will appear! We’d love to hear from you with your own suggestions for eliminating or reducing plastic on your travels! Get in touch with via the Nature Travels Facebook page or Instagram us a picture of your favourite product “in action” from your trip!